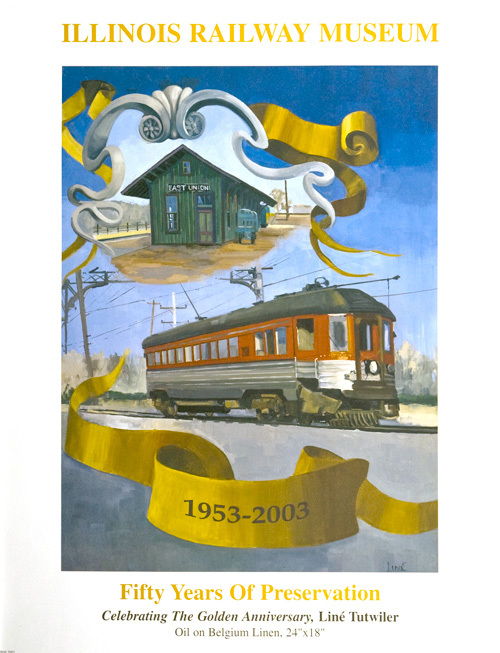 Illinois railway Museum Anniversary poster poster 28 x 22 $25.00 + S&H $10. 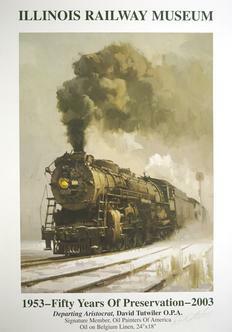 Departure Nickel Plate # 765 7.5 x 10 ...$40.+ S&H $10. 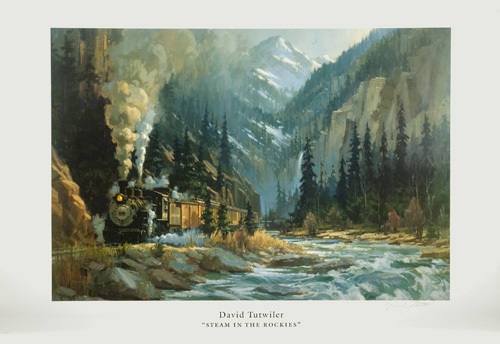 Steam in the Rockies WildApple Graphics poster 19.5 x 28.5.........$75. + S&H $10. 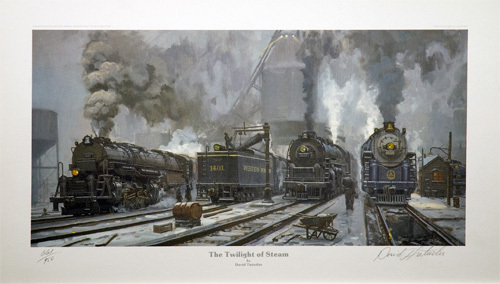 Twilight of Steam (limited edition) 10.5 x 21 ..........$65. + S&H $12. 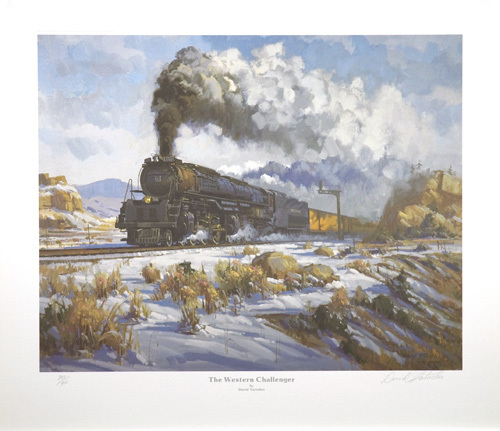 Western Challenger 16.75 x 21 $65. + S&H $12. 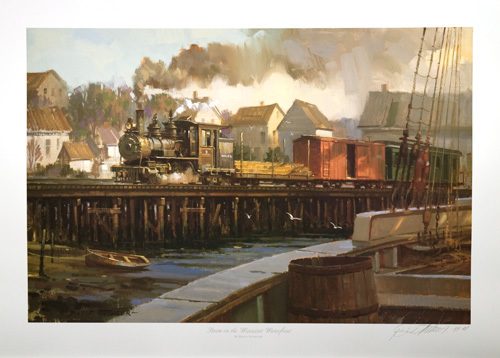 Steam on the Wiscasset Waterfront 18 x 24 ...................$65. + S&H $12. 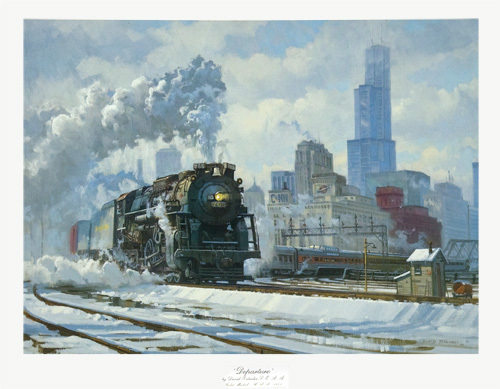 Illinois Railway Museum poster by Line' Tutwiler 28 x 22...........$25. + S&H $10. 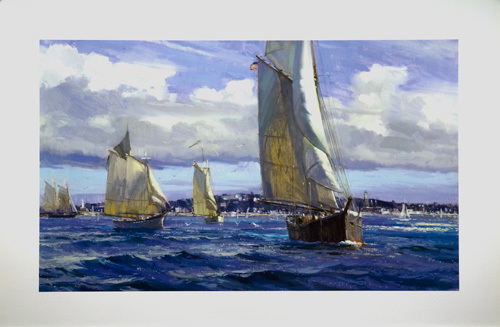 "Day of the Race" Gloucester Mass. 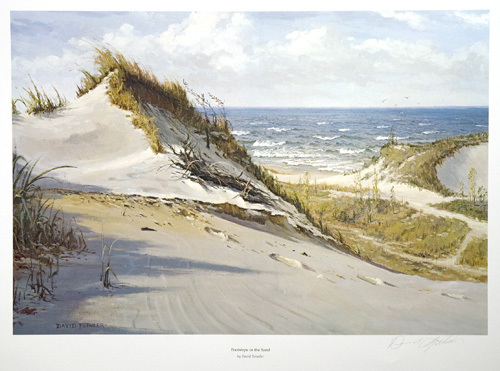 19.5 x 28.5 $50.00 + S&H $10. 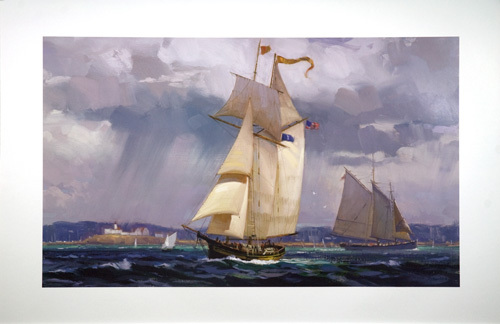 Pride & Adventure (Pride of Baltimore & the Schooner Adventure) 24 x 36 full sheet $50. + S&H $10. 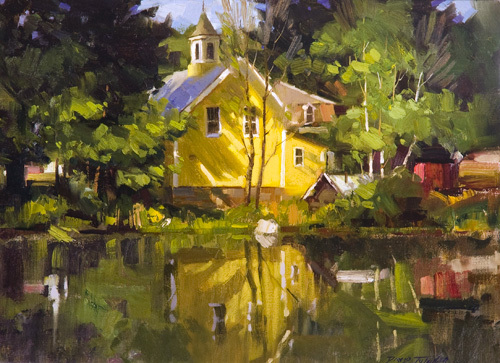 Summer Reflections (poster) 18 x 24 ..............$40. + S&H $10. 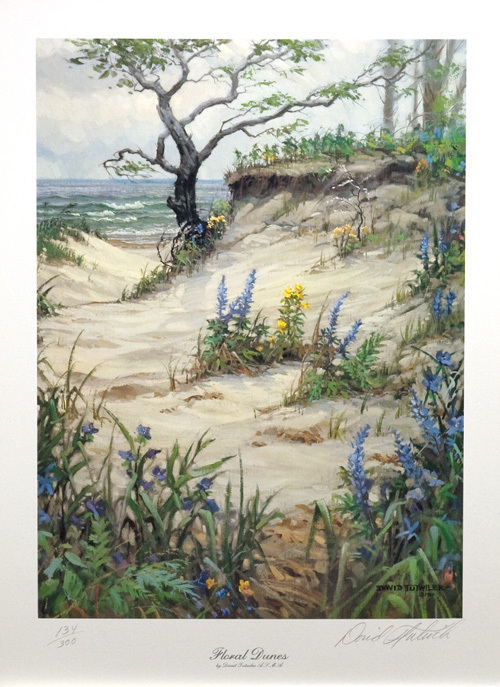 Floral Dunes 10.5 x 14.25......$25. 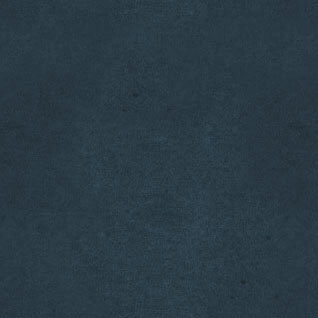 + S&H $10.